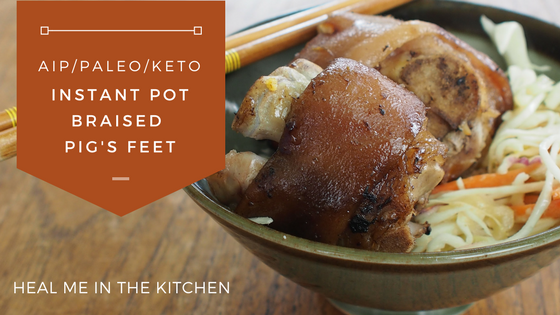 Press “Sauté” on “High”, Blanch pigs' feet for 2 minutes, drain water and rinse off with fresh water. Cover the lid and set the pressure valve to “Seal” position. Press “Manual” and set 40 minutes of cooking time. Serve with your favourite sides as a snack or meal. Here I served it with coleslaw.